People used to learn those things naturally as a part of growing up. But those skills are disappearing as people communicate more via impersonal email, text and social media. Soft skills are so vital in the workplace because they're the engine that drives people to use their technical (or "hard") skills more effectively. Yet most people never get any training on these kind of people skills … until now. On Wednesday, May 1, gather your employees and management team to develop the five critical people skills that impact your ability to be successful at work. More than three-quarters of employers (77%) say they value employees' soft skills just as much as their hard skills, according to a CareerBuilder survey. And boosting employees' soft skills is more important than ever in today's high-tech, low-touch world. You train your employees on technical and job-specific skills, so why leave behind the other half of their performance – their people skills? On May 1, give your employees the tools to amplify their performance, connect with others and solve any challenge thrown their way! P.S. Registration Bonuses. 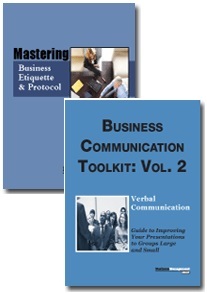 Everyone who signs up will receive two of our most popular Special Reports: 1) Mastering Business Etiquette and Protocol will teach you how to handle every business interaction with poise and confidence, and 2) Business Communication Toolkit: Vol. 2, Verbal Communication will help you shine in any public forum – from the conference room to the ballroom. P.P.S. Extra Added Bonus. 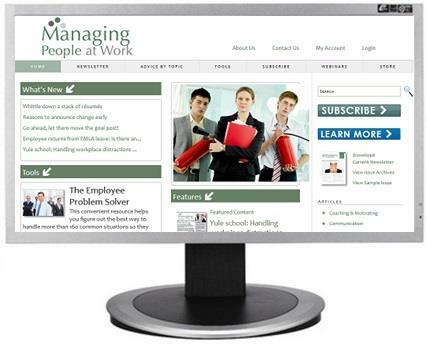 You'll also receive one month of members-only access to ManagingPeopleAtWork.com – our comprehensive online resource designed to make stronger, better-prepared managers. 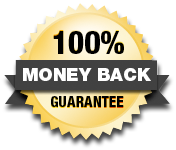 So that you continue to benefit from ManagingPeopleAtWork.com, we'll continue your access automatically for just $89 per quarter, unless you tell us "no, thanks" – your choice. P.P.P.S. We promise you'll be satisfied. If The 5 People Skills that Will Improve Your Performance fails to meet your needs in any way, we will refund your tuition – every penny you paid – but your course materials, registration bonuses and website access will be yours to keep. No hassles, no questions asked. Access every Business Management Daily webinar for one low price! Since this is a webinar, you and your entire staff can attend in the comfort of your office or conference room for one low price! You may include as many people as you wish while listening on a single phone line or computer. Contact us for multi-site discounts.